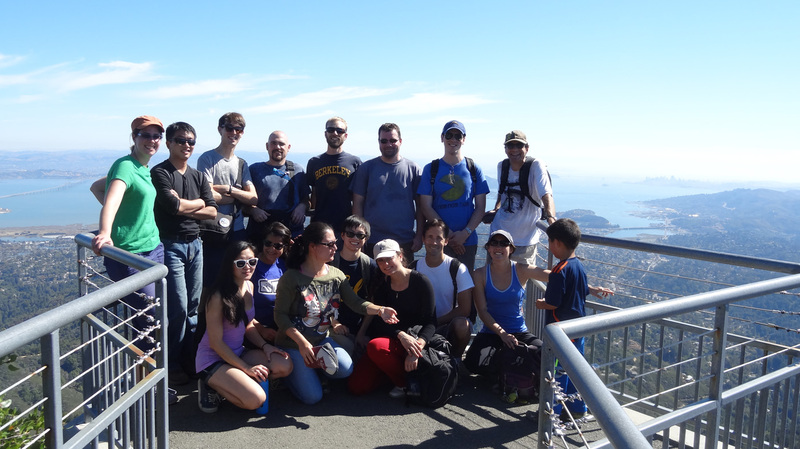 THE lab, from Mount Tamalpais, October 2014 (with some faithful former members)! The laboratory of Dr. Heyer is internationally recognized for its expertise in protein biochemistry with significant contributions to establish new paradigms and elucidate the fundamental mechanisms of homologous recombination and recombinational DNA repair. The most significant contribution range from the original discovery of Mus81 (Interthal et al. 2000), the definition of its substrate range (Ehmsen & Heyer, 2008, 2009) and of its cleavage mechanism (Mukherjee et al. 2014), to the identification of direct regulation of DNA repair by the DNA damage checkpoints and nonsense-mediated decay (Bashkirov et al. 2000, Herzberg et al. 2006, Janke et al. 2016), the role of Rad54 and Sgs1-Top3-Rmi1 in D-loop formation and disruption, respectively (Wright & Heyer, 2014, Fasching et al. 2015) and to turnover Rad51 from dsDNA (Solinger et al. 2002, Li et al. 2009), the first reported (concomitant with two other laboratories) purification of full-length human BRCA2 (Liu et al. 2010), the demonstration of the role DNA Polymerase delta and lambda in HR (Li et al. 2009; Sneeden et al. 2013, Meyer et al. 2015), and the discovery of a novel anti-anti-recombination mechanism (Liu et al. 2011).